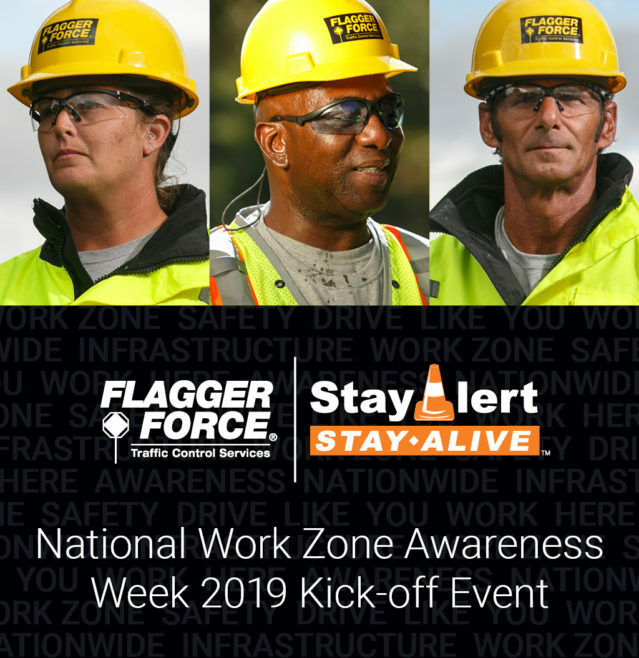 Pennsylvania Turnpike Commission (PTC), The Associated Pennsylvania Constructors (APC) and Flagger Force Traffic Control Services® hosted an event today to kick-off National Work Zone Awareness Week (NWZAW). 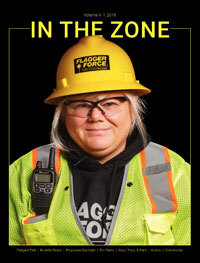 The event, held at PTC headquarters, highlighted the importance of work-zone safety across the commonwealth, shedding light on the increasing effects of distracted driving on work-zone employees and motorists. Speakers included PTC Commissioner John N. Wozniak, PTC CEO Mark Compton, PTC Equipment Operator Mike Kates, Associated Pennsylvania Constructors Executive Vice President Robert Latham, Flagger Force President and CEO, Mike Doner and Flagger Force Field Specialist Jackie McVey. Each speaker shared experiences and important messages about the dangers of speeding and distracted driving through work zones. Attendees were encouraged to visit www.idriveorange.com to pledge to drive the posted speed limit in all work zones. During his comments, Commissioner Wozniak — a former state senator who was chair of the Senate Transportation Committee — noted that there are catastrophic consequences when people choose to speed through work zones. 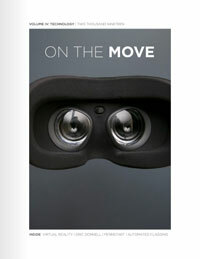 APC’s Latham noted that highway workers are laboring to make the commonwealth’s roads safer and smoother for travelers, and motorists can show workers their gratitude by slowing down and avoiding distractions while traveling through what is essentially someone’s workplace. Mike Doner from Flagger Force, an industry-leader in temporary traffic control services across the Mid-Atlantic region, discussed how work zones are important to improving the aging infrastructure in our communities. 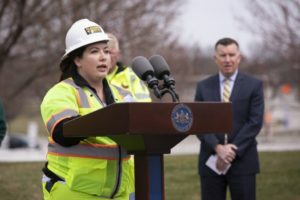 Turnpike CEO Compton reminded drivers of a new law that takes effect later this year allowing the PA Turnpike and PennDOT to conduct speed-enforcement operations inside work zones and maintenance (cone) patterns using automated speed-detection technology. He said the system will generate speeding violations to the registered owners of offending vehicles. National Work Zone Awareness Week (NWZAW) is an annual national campaign that is designed to encourage safe driving through work zones. This year’s theme is “Drive Like You Work Here.” Research shows in 2017, there were 132 national work zone fatalities, according to WorkZoneSafety.org.